It’s a Good Good Friday! Earlier, the only requirement to participate in the annual crucifixion rites in Philippines was that the person needed to be a Catholic. However, this year only local Filipinos can participate. Well, that really fucks up my plans. Enaje said he was hoping that the council finds an appropriate replacement for him soon because his aging body can not bear further pain. “The spots on my hands and feet that are pierced yearly get healed in six months but the pain on my right shoulder where I carry a big wooden cross persists year round,” he said. We all have our crosses to bear, but damn. 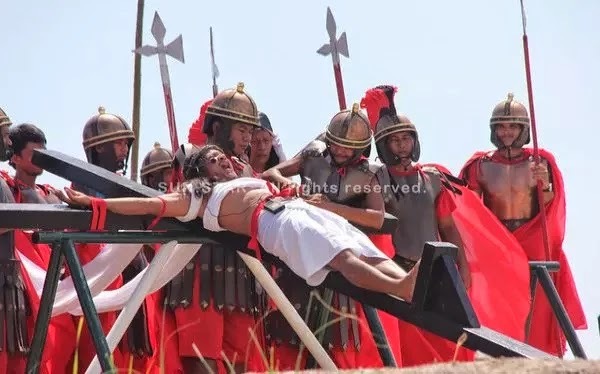 SAN FERNANDO, PAMPANGA (Updated) — Devotees in San Pedro Cutud village here had themselves nailed to a wooden cross to re-enact the crucifixion of Jesus Christ as thousands of local and foreign spectators watch the bloody annual rites to mark Good Friday in Asia’s largest Roman Catholic nation. 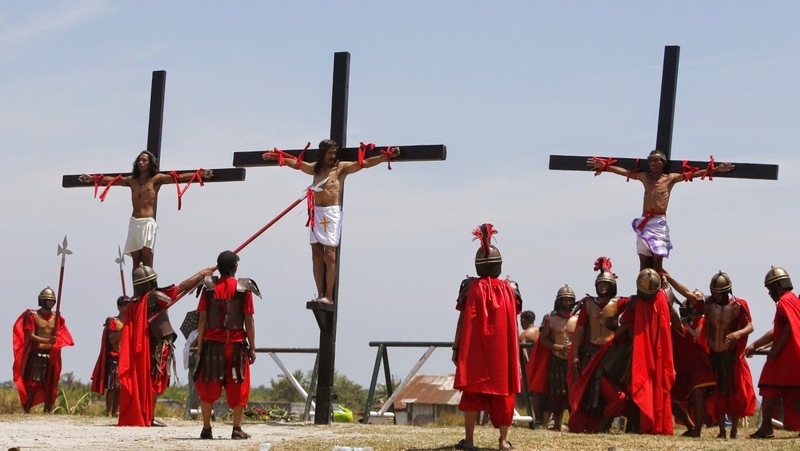 SAN FERNANDO, Philippines–Catholic zealots in the Philippines re-enacted the last hours of Jesus Christ on Good Friday, whipping their backs and nailing themselves to crosses in a grisly Easter ritual that persists despite Church disapproval. Author DonPosted on October 12, 2011 Categories DisOriented, Good Friday, Video, Wasting Time3 Comments on Mabuhay ng Pilipinas, Motherf–kers!